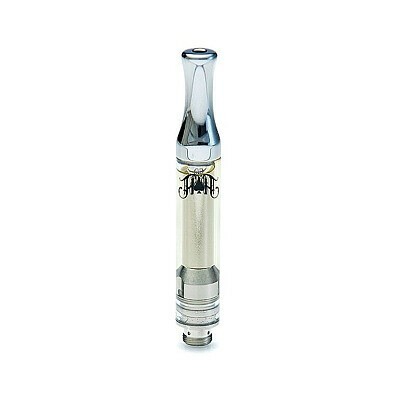 Heavy Hitter's 710 Connoisseur is among the highest THC cartridge on the market. Heavy Hitters' Vape Cartridges boast the highest THC potency on the market: a competition grade and contaminant free disposable Cold Filtered cartridge available in a variety of flavors and strains. Vape Cartridges are the perfect companion for medicating any time of day wherever you are with Sativa, Indica, and Hybrid strain options. These cartridges support Standard 510, 4 Volt Maximum batteries.